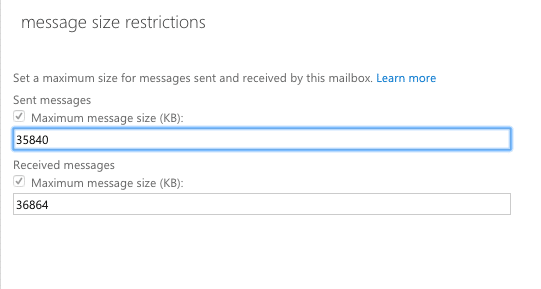 Here’s how to change the Office 365 Message Size Limit for Messages, Tasks etc.. for Individual Accounts and as the default for new Office 365 Accounts. Click on Recipients in the left side bar, click on the Individual Mailbox and then click on the edit icon. 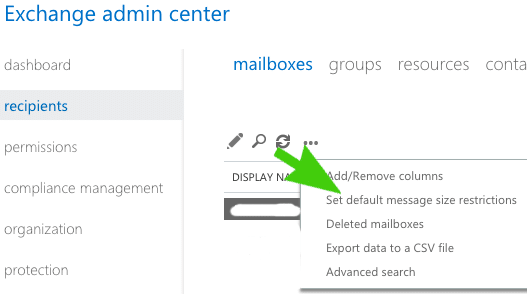 In the mailbox view click on the … and then click on Set Default Message Size Restrictions.